Registering is easy, and it doesn't take long to do. Once you're enrolled, you can log in and complete our Drivers License Permit course at any time. And, you can use any computer with Internet access. With Drivers Education Online, you’ll never have to worry about having to rearrange your schedule to complete the course. No classrooms, no books, no boring lectures; you’re completely in charge of when, where, and how much you study. And, you can take the course from any computer with Internet access. You'll learn everything you need to know to pass the final. If you don't pass the first time, don't worry - you can retake it until you do. Once you've passed, you'll be ready to take your Permit Exam and start learning how to drive. Our engaging and educational Drivers Ed courses are designed by professionals to keep you interested in what you’re learning so you’ll be ready to pass your DMV Learners Permit exam. Our courses combine short lessons, entertaining animations, and helpful multiple-choice quizzes to teach you about traffic laws and driver safety. Our course includes a free 50 question DMV Practice Test, so you'll be totally prepared to pass your exam and get behind the wheel! One of the best reasons to take your Drivers Ed course online is the freedom and flexibility you’ll have. You can log in and out of the course as much as you want, whenever you have the time. With online Drivers Ed, you get to take the course when and where it’s best for you. Online Drivers Education – It’s The Only Way To Go. This online drivers permit course is approved by the Department of Motor Vehicles in California, Colorado, Florida, Georgia, Indiana, Nevada, Oklahoma, Pennsylvania, Texas, Texas Adult Drivers Ed and Virginia. This approval means that it satisfies all of the same requirements that a traditional course does, but without the hassles of sitting in a boring classroom for days on end. You can retake our final exam as many times as you like until you pass. We offer this guaranteed because we believe you deserve every chance at getting your Drivers Permit. And by allowing you to take and retake the final exam until you pass, which we promise will help when you take the DMV exam. Driver's ed has never been easier! Instead of trying to find time to sit in a classroom for hours, you get to take our Teen Drivers License course all at your convenience. Log in and take the course whenever you have the time, and you can log out at any point - it's entirely up to you. Satisfies your Learner's Permit requirements. Study at your convenient time and place. You're guaranteed to pass our course! Be prepared to pass your permit exam! Another benefit of taking our online Drivers Ed course is the free 50-question DMV Practice Test you’ll get to study with. You can make sure you’re prepared to pass your Learners Permit exam by testing your knowledge with questions like the ones you’ll see on your actual DMV Learners Permit exam. Study Online, and Get Your Drivers License Permit! Taking Driver's Ed and getting your Permit is an exciting time! And, it's fun and easy! No textbooks, no classrooms, just you and a computer; all you need is access to the Internet. Plus, you get to study when it's best for you, which is something you can only benefit from by taking an Online Teen Drivers Permit course. You Can Always Get Help! With our Teen Drivers Ed Online course, you have access to 24/7 customer support, which means you'll always be able to get help, no matter what time you're studying. Don't hesitate to contact our friendly, professional Customer Support Representatives at any time with your questions or concerns. Enroll in our course today, and enjoy the benefits and convenience we have to offer, and get ready to pass your Driver License Permit test! Driver's education online is the newest and most exciting way to prepare for your learner’s permit and driver’s license. Thanks to the internet you can say goodbye to the days of having to sit in boring classrooms and lecture halls at your local driving school. The best thing about the internet is that it brings everything to you and that includes this teen drivers education course. We know how valuable your free time is and that is why we have created this teen driver education online course for you. You can access this course whenever it is convenient for you because all you need is a computer with an internet connection. This allows you the freedom you need to work around your schedule so you don’t have to give anything up. The course covers defensive driving strategies, driver communication, emergency preparedness, accident avoidance, weather and road conditions, state-specific rules and regulations, safe use of technology, signs and signals, the extreme dangers of driving under the influence, and much more. 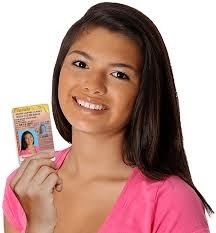 Satisfies state requirements to complete your Teen Driving Ed course and work towards your driver permit. You can log in and out of this Teen drivers education course as many times as you like, which allows you to complete the course in multiple sessions. The course is divided into eight units and each one covers a different driver related issue. There are short quizzes at the end of each unit to help you review what you have just learned and you can take them as many times as you need. Just say yes to online driver education; it makes sense.